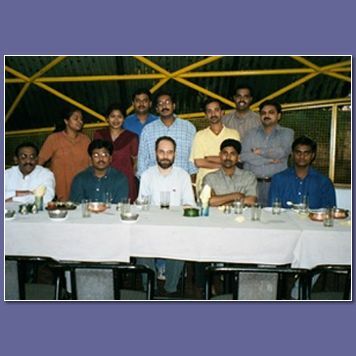 I was sent to Bangalore, Karnataka for work reasons from July to August 2001. These photos were mostly taken there. A few were taken in rural areas nearby. I took one side trip to Cochin on the Arabian seacoast. The pictures from there are shown and described separately. Bangalore is India's silicon valley. It is a city of 6 million people located in Karnataka state, in southern India. It is 2000 km from Delhi and 1000 km from Mumbai (formerly known as Bombay). I flew to India via SwissAir. I took an internal airline called Jet Airways from Mumbai to Bangalore. For the location of Bangalore and Karnataka, click here. The main side trip I took was to Cochin (also called Kochi). 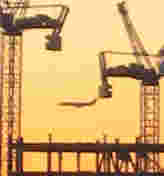 It is the major seaport in a state called Kerala. This is a city of 1.6 million people on the southwest coast of India, close to the southern tip. It is 500 km southwest of Bangalore, 1400 km south of Mumbai. For a map of India showing Kerala, click here. Cochin is close to the bottom tip of Kerala, about 100 km north of Thiruvananthapuram. I traveled in several interesting ways on this trip. Here are pictures some of them. Click Below for more photos and text from my India trip. 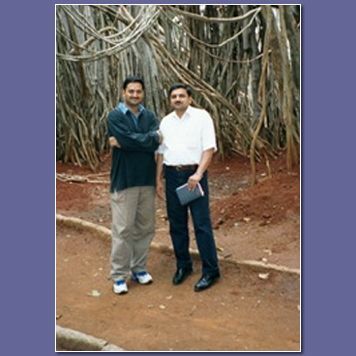 I owe an enormous debt of gratitude to Satish (left) and Prakash (right). They were very generous of their time. They took me around, ensured that I was well taken care of and did not get ripped off by unscrupulous merchants. I took this photo inside a 400 year old banyan tree just outside Bangalore. The tree has expanded to cover over 3 acres. This is not the biggest banyan tree in India. In other regions, there are supposed to be several much larger and older trees. May not be modified or duplicated without permission.